Truth be told, there aren’t that many hostels in Xinjiang, at least not compared to the rest of China. 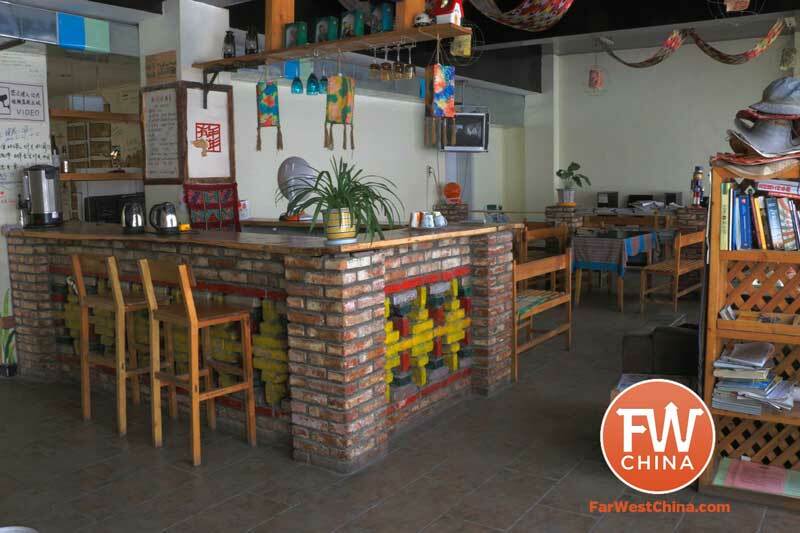 To make matters just a bit more difficult, the standard of cleanliness and service with Xinjiang hostels is frankly not up to the China standard. Don’t count on English-speaking help or a library of travel literature to help you figure out your next stop. More than likely it’s not here. If this bothers you, there are plenty of Xinjiang hotels that are both comfortable and cheap. On the bright side, Xinjiang hostels are very cheap and can offer quite a few distinct advantages over hotels including location and the opportunity to connect with other backpackers. MaiTian doesn’t seem to get much love from the travel guides who seem biased toward the White Birch for some reason. The MaiTian Youth Hostel has by far the best hostel location in Urumqi. It’s near Hong Shan Park, next to a huge supermarket and nearby an unbelievable amount of bus stops. It’s a renovated hotel, which means that all the rooms, including the dorms have their own private bathrooms (something no other Urumqi hostel has). The common area is comfortable although the food options aren’t great. For that all you need to do is walk a couple hundred meters to the Fubar or the recently opened Xinjiang Burger King. When anybody asks me, this is my first recommendation of any Urumqi hostel. My biggest complaint is a lack of lockers in the rooms. Coming in close second in the Urumqi hostel category is the White Birch International Youth Hostel. Many travelers are familiar with this hostel, which is one of its distinct advantages – lots of backpackers during peak months. It’s location nearby the BRT 3 stop and the large NanHu Park is nice but not convenient. 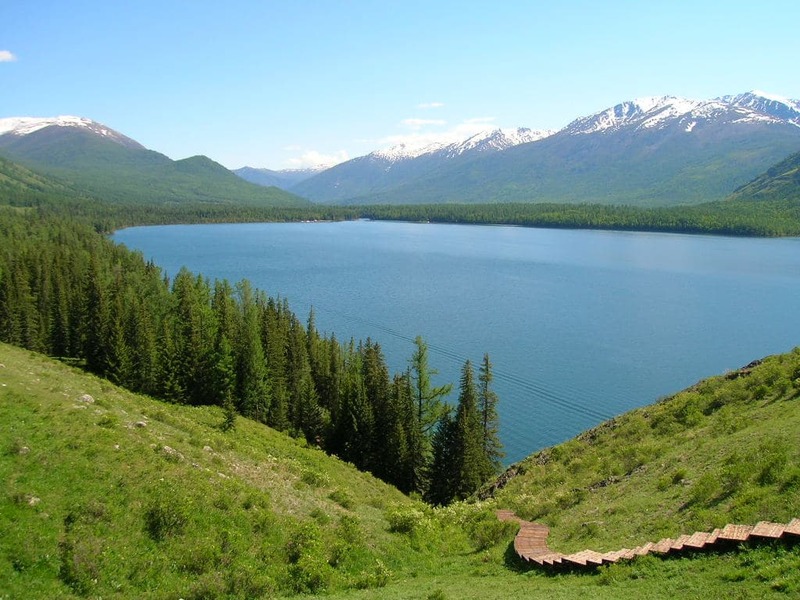 It’s not near anything worth visiting here in Urumqi which just means that you’ll be spending a lot of time on a bus or taxi to get around town. The rooms have lockers, heating for the winter and fans for the summer but bathrooms are all public. Stay tuned, though! They told me they are planning to open up a second location in April near Hong Shan Park. 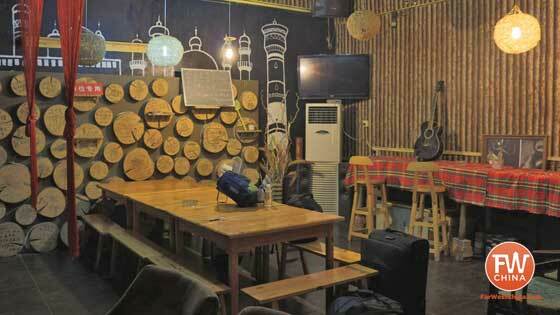 The Baolu International Youth Hostel is an interesting hostel because of it’s location. From here it takes a good half hour by taxi or more (and even longer by bus!) to get into downtown Urumqi. 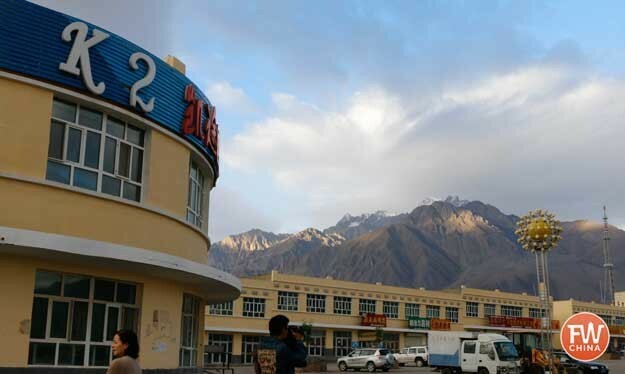 What’s great about the Baolu is that it is one of the cleanest and nicest hostels in all of Xinjiang. It is also a renovated hotel, although much more recent than the MaiTian. Most rooms have private bathrooms and the beds are about as comfortable as you’d expect in any local hotel here. If you plan to have a quick layover in Urumqi and don’t care to visit the city, this might be a great place to stay the night. It’s near the airport and rooms are much cheaper than the Urumqi airport hotels. Note: I’m aware there are quite a few cheap hotel options in Urumqi that could be considered “hostel-like”, but I’m primarily concerned with dedicated hostels in this list. In Kashgar, it’s really a tie between the Pamir and the Old Town Youth Hostel as to which is the best. Both have an excellent location near the Id Kah Mosque as part of Kashgar’s Old Town. 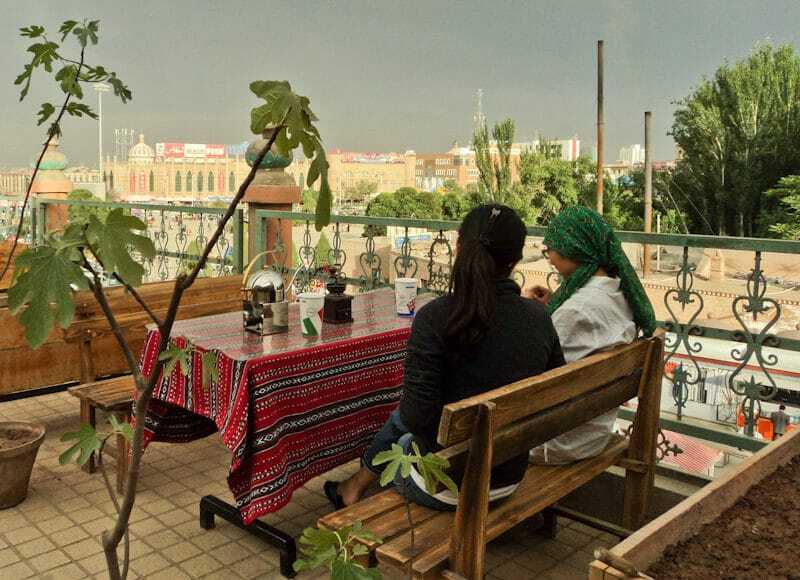 The Kashgar Pamir Youth Hostel practically overlooks the Id Kah Mosque and has a nice outdoor terrace. The place has been decorated up to feel like it belongs in this part of the city and there’s a nice library of books for travelers to browse. On the downside, it’s not the most comfortable place to stay and many travelers I know have complained of it being a bit dirty and unkept. I guess it depends on what time of the year you visit. As I said above, the Old Town really compares well with the Pamir so you won’t go wrong staying at either one (or just seeing which one has availability). 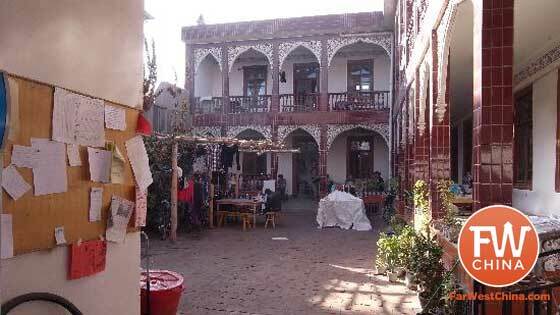 The Kashgar Old Town Youth Hostel is a favorite among travelers for its traditional courtyard setup that you won’t find with other hostels. Again, the standard of cleanliness for most of these hostels is quite low and the Old Town is no exception. There’s that feel of “roughing it” when you’re staying here, but in my opinion that kind of adds to its appeal. Be prepared to sit out in the courtyard at night and chat with other travelers who stay at the Old Town. Quite a fun experience! Owned by the same person that owns the Urumqi MaiTian Youth Hostel mentioned above, the Kashgar Maitian is also a friendly and relatively clean place to stay in Kashgar. The biggest downside to the MaiTian, and one of the big reasons most people opt to stay at one of the other two hostels mentioned above, is location. Instead of being in the middle of the Old Town or next to the Id Kah Mosque, it is situated in the southeast corner of the city next to the city lake. That may be a deal breaker for some but remember: it’s a lot closer to the bazaar and the Apak Khoja mausoleum than any other hostel. 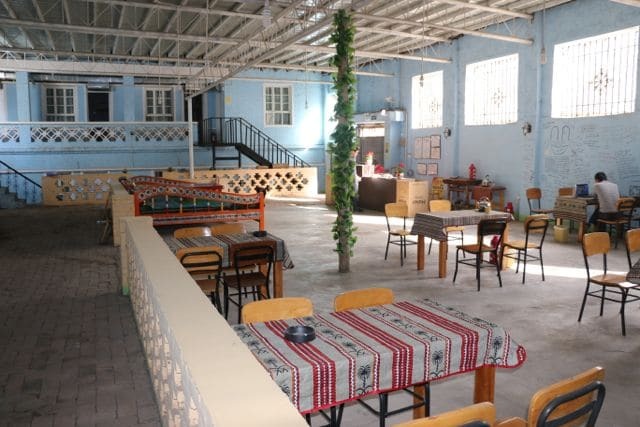 Note: I am in the process of adding a couple other hostels to this list, including the KKH Breeze and Camel Youth Hostel as well as the two hotels that double as hostels (Seman and Chini Bagh). This will be updated with all that information soon. You won’t find this hostel in your hefty China travel guide primarily because it was just opened last year. This is the only dedicated youth hostel in Turpan although there are plenty of other cheap hotels in Turpan. 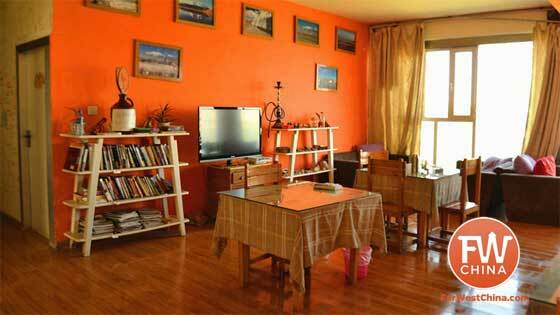 The Turpan White Camel Youth Hostel has nice open spaces and simple rooms. The beds aren’t terribly comfortable but at least the area is kept mostly clean. It’s located pretty much in the center of town only a short walk from the Turpan Museum and the two biggest city parks. If you’re wanting to stay next to the Uyghur bazaar you’re best to look at the Jiaotong hotel. Still, since Turpan is so small there’s really no “bad location” to stay in my opinion. 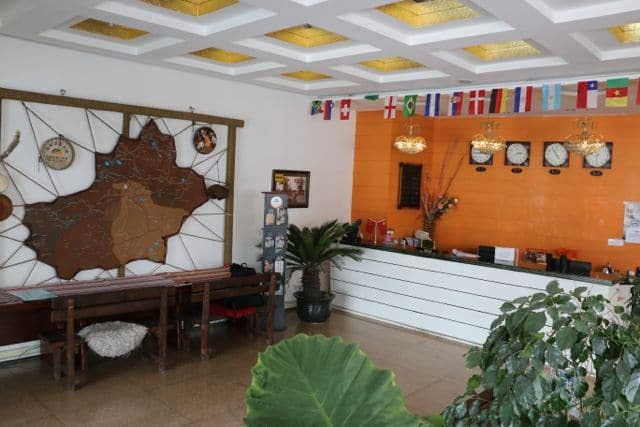 Note: Many of the hotels in Turpan offer such low prices as to compete with most hostels – they also cater to backpackers. In other words, it’s not a bad idea to check out the Turpan hotels as an alternative since there aren’t many hostel options. The Tashkorgan K2 Youth Hostel is basically your only hostel option the small town of Tashkorgan. If you decide to stay in town (as opposed to staying in a yurt at nearby Karakul Lake…which I recommend), then this is the place. It’s small but homey. It’s not bustling with people, but it’s moderately comfortable and extremely cheap. The Stone City is only a couple kilometers away from here and the city itself is nice to walk around. They offer slow internet and bike rentals as well. As you can see, there are plenty of hostels in Xinjiang in cities like Urumqi, Kashgar, Turpan and others. They probably won’t live up to any experience you’ve had hosteling in Europe or the U.S., but they’re cheap and they usually provide more than enough comfort for most people. Even if the hostels don’t work out, you’ll find that even the hotel options in Xinjiang aren’t that expensive. 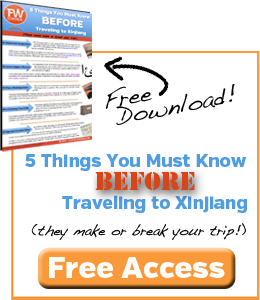 Whichever way you choose, make sure to grab a copy of the FarWestChina Xinjiang travel guide for your journey! What about K2 in Tashkorgan? From what I understand they are sort of linked up in an informal relationship with Pamir in Kashgar. 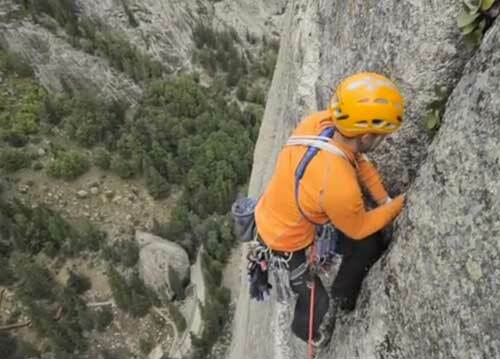 Both are members of Hosteling International. Thanks for the comment, Donny! I have their information in my hands as we speak, believe it or not. I’ll be adding them as well as two others from Yining and Buergin. I’m trying my best to provide personal reviews and since I haven’t personally been to K2 I was waiting for a bit. The couple of times I was in Xinjiang some years back, outside of Urumqi and Kashgar where hostels are hard to come by, I’d mostly stuck to 交通宾馆. No bells and whistles, cheap and conveniently-located, they are pretty much what I was looking for when I traveled on a shoe-string. It’s surprising how cheap those hotels can be, right? Someone gave me that same advice about JiaoTong hotels a couple years ago and it has proven to work well. I completely agree.